Size/Color: 5PC/Cherry This item is currently out of stock! 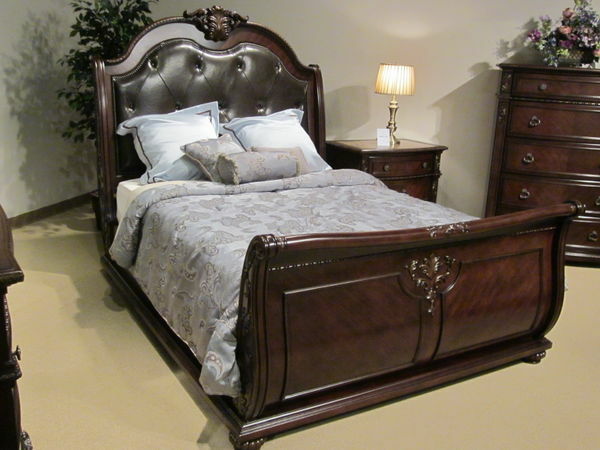 Traditionally styled bedrooms require a sense of grandeur and the Hillcrest Manor Collection meets the requirement fully. The grandly scaled case goods feature framed marble tops with hints of the rich natural tones of brown and cream. Acanthus leaf carvings along with egg and dart molding beaded molding pull and knob antiqued hardware and a rich cherry finish further the traditional style. Full extension drawer glides add convenience to the collection.